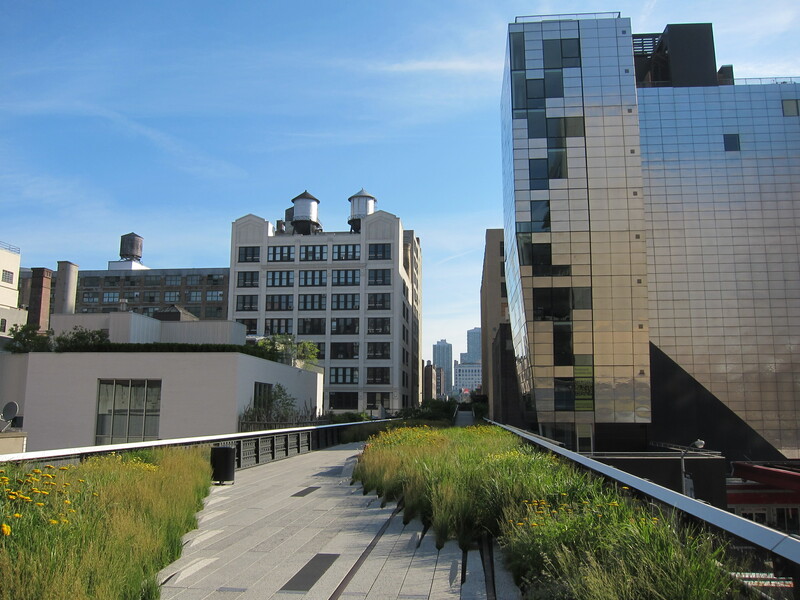 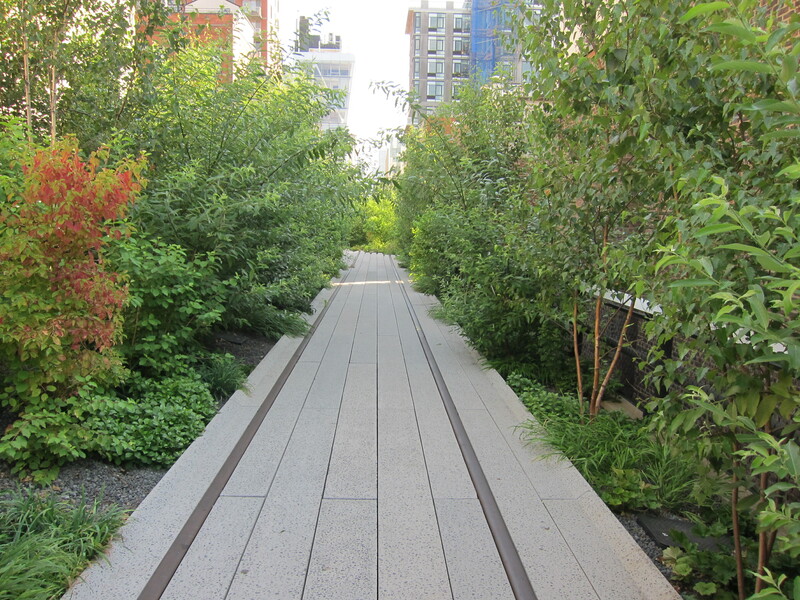 On my recent trip to New York I made a point of visiting the High Line park on Manhattan’s lower westside. 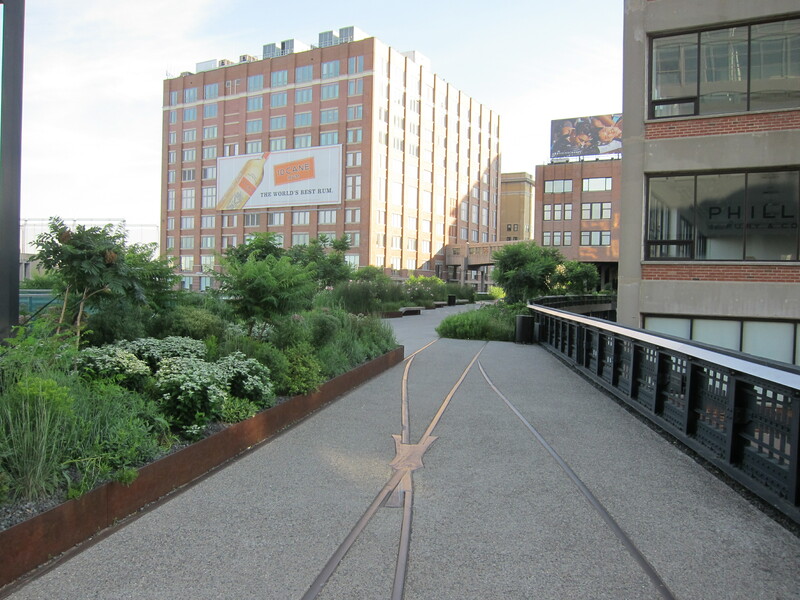 The High Line park is built upon an elevated railway platform that was built in the early 1930’s and was opened in 1934 for freight trains so that they could ferry goods to the rail yards at West 34th street from the warehouses and factories that existed in lower Manhattan many decades ago. 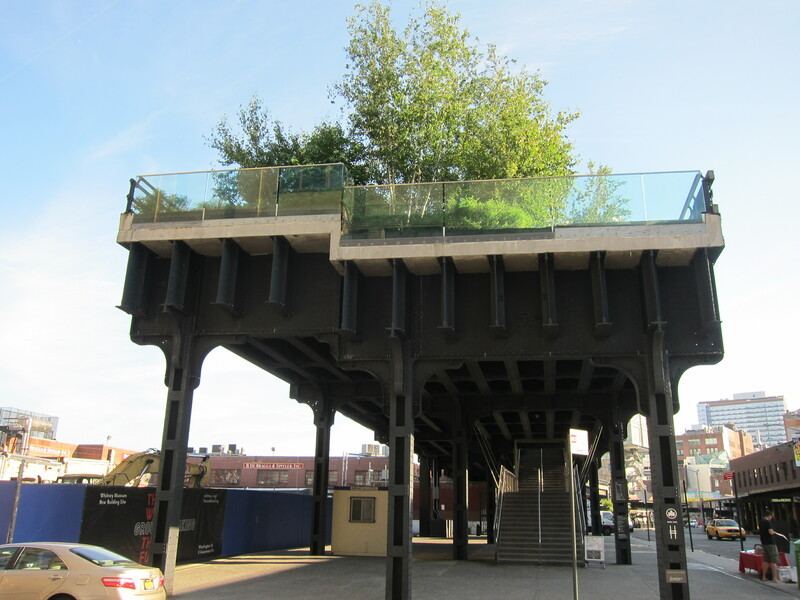 The last train ran down the High Line in 1980 and the platform remained abandoned for over 20 years. 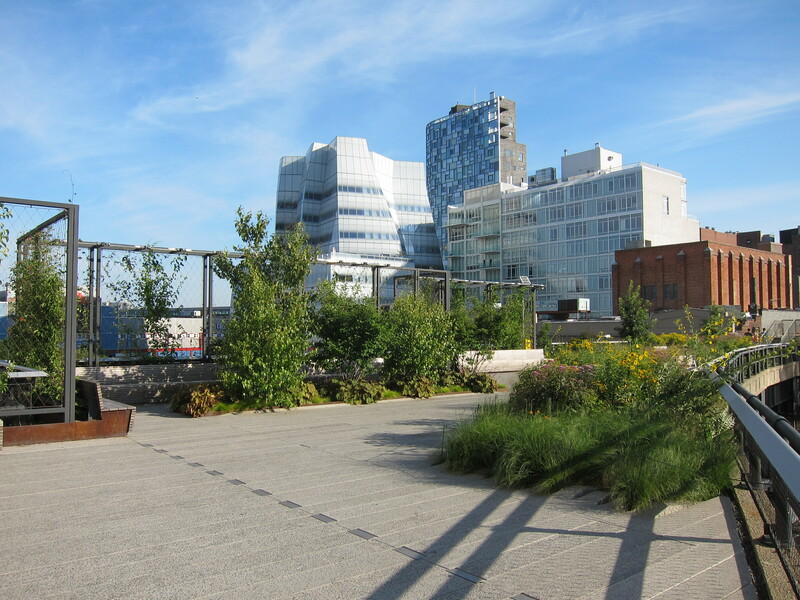 The High Line was facing demolition by the city until a private group proposed converting the High Line into unique urban park and walkway. 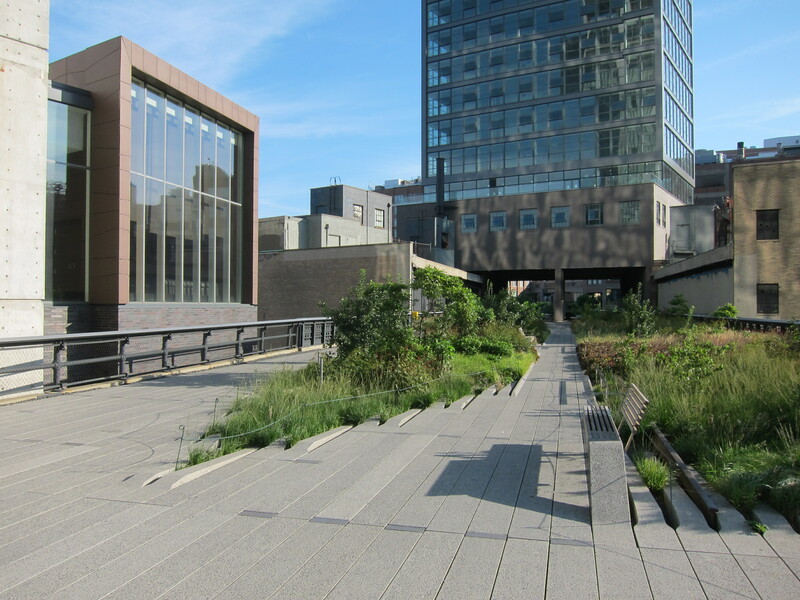 Click the link below to see my High Line slideshow. 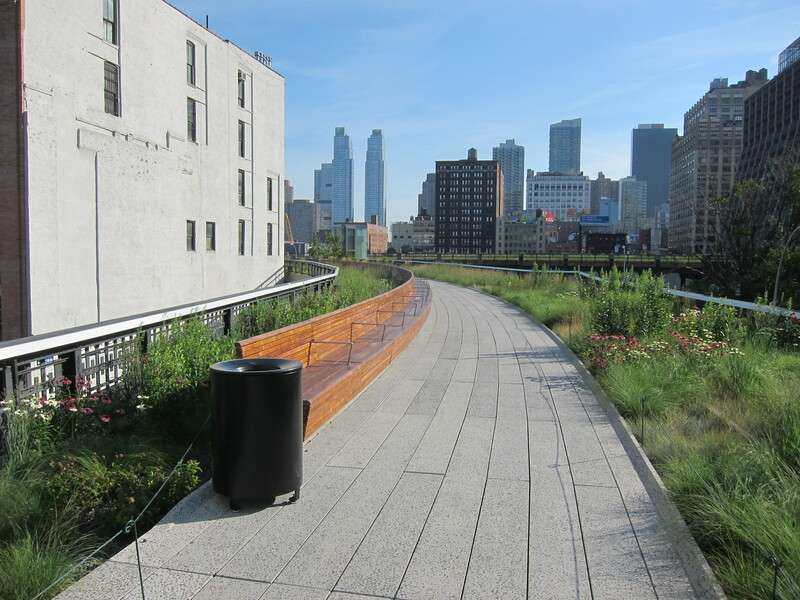 I took these pictures very early, on a Saturday morning, just after the park opened.